Custard Comedy Comberton gives you the chance to see top quality comedy from some of the biggest names in Britain and around the world - right ﻿﻿on your doorstep. Custard Comedy takes place at Comberton Sports & Arts on the second Friday of each month except July and August. Custard Comedy at Comberton is now a Community Run Event. Any profits from the night go to the Friends of CVC Trust Fund. John Robertson is a comedian, making money out of that particularly odd art form since 2002. He’s also a TV presenter, columnist, multimedia artist, games designer and crowd-surfer. He first came to public attention in 2003, when he went down to Australian Idol and faked a seizure on national television. From 2008 – 2010, he was the Australian tour support for Mark Watson, Wayne Brady and Rob Schneider, before making his debut at the Edinburgh Fringe in August 2010. His show that year, “A Nifty History of Evil” won the Critic’s Choice Award at the Wild West Comedy Festival, established his UK cult following and brought him to the front page of the BBC News website. In 2012, he created “The Dark Room”, a viral YouTube hit-turned-live show, which now tours the world as a theatre show and corporate entertainment. In 2013, he left his beloved Wai-Con (Australia’s best anime convention) and moved to the UK. He crowd-surfed to celebrate. “A manic and quick-witted revelation” – The Scotsman. Having spent a number of years silently mastering his craft in comedy clubs across the UK, Europe and beyond, Belfast-born, ginger Irishman Ryan McDonnell is an act on the rise. Award-winning, stand-up comedian and Hull local, Jack Gleadow is a unique performers on the UK comedy circuit today. He takes his inspiration from the golden era of variety; Jack is the One-Man Variety Show with the use of sounds, stories, jokes and a scooter! In the words of Leicester Comedy Festival, after winning the prestigious 2018 Leicester Mercury Comedian of The Year award, "Jack bowled over the judges with his quirky set; a delightful blend of audience participation, wordplay and physical comedy." “Star potential…the sky is the limit” Evening Standard. Our MC is James Cook. 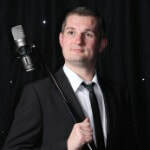 James is a professional comedian based in Birmingham, UK, with over 1,000 gigs worth of experience. His act has been described as “truly original” (Danny Wallace (off of the telly)) whereas he’s been called “suave and chirpy” by that publishing powerhouse, the Bromsgrove Advertiser. Runner-up in Britain’s Got Talent 2018, Robert White goes from strength to strength, securing a dedicated following of fans and working his way well up the ladder of comedy. Robert worked his way up the stand-up scene, starting in 2004 and found early success as a finalist in the prestigious Hackney Empire competition 2006, he has gone from strength to strength and in 2010 won the Malcolm Hardee main award at the Edinburgh Festival. He now is a sought after act who regularly performs in big clubs, little clubs, those in-between, theatres and festivals around the UK and abroad. ‘Just one of the funniest performers I’ve ever seen, I’ve never laughed like that !’ - David Walliams. Fresh from being at the top of GQ’s Best 100 Jokes in the World 2018, being a finalist for What’s On magazine’s Best Comedian 2016, 2017 and 2018, finalist for the Laugh Factory’s international joke of the year 2017 and recently hand-picked to support Reginald D. Hunter on tour Comedy World Record holder Chris Purchase is currently taking the comedy scene by storm with his mix of light hearted anecdotes and cultural satire. “Charismatic and entertaining” – Comedy Central. 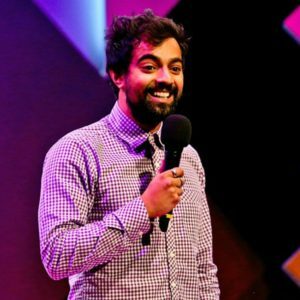 The self styled “Newcastle Brown Male”, Rahul Kohli is a So You Think You’re Funny Semi-Finalist and in 2017 won the prestigious New Act of the Year competition at the Leicester Square Theatre. He has also appeared on the BBC’s Big Asian Comedy Night. "Genuinely inventive...fresh, funny and meticulously contemporary." EdFringe Review. Our MC is Howard Read. As a Stand up Howard Read is brilliantly off the wall. Totally silly, songs and jokes and stupidness. The man is a buffoon of the highest order. And in this business that is a good thing. "Genius" Radio Times.